Leez Priory Wedding Photographers. The French Connection. 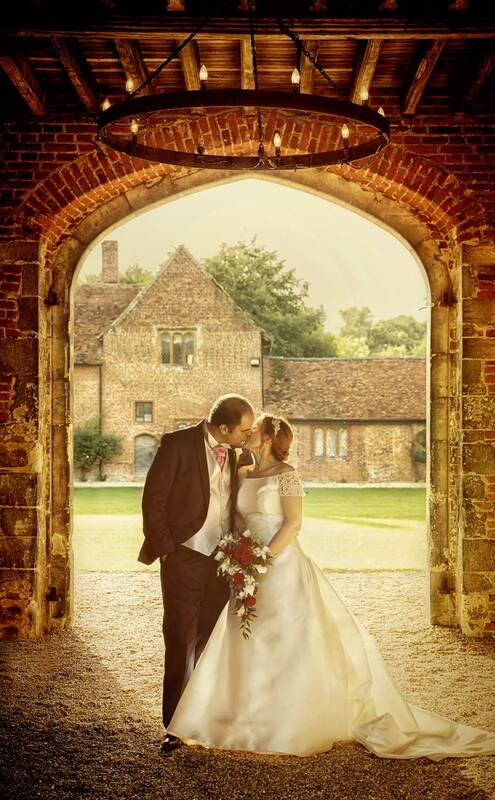 The question is quite simply, who wouldn’t love a wedding at Leez Priory? It has everything, from a rich history, stellar good looks, and a proven track record as a very very popular venue. 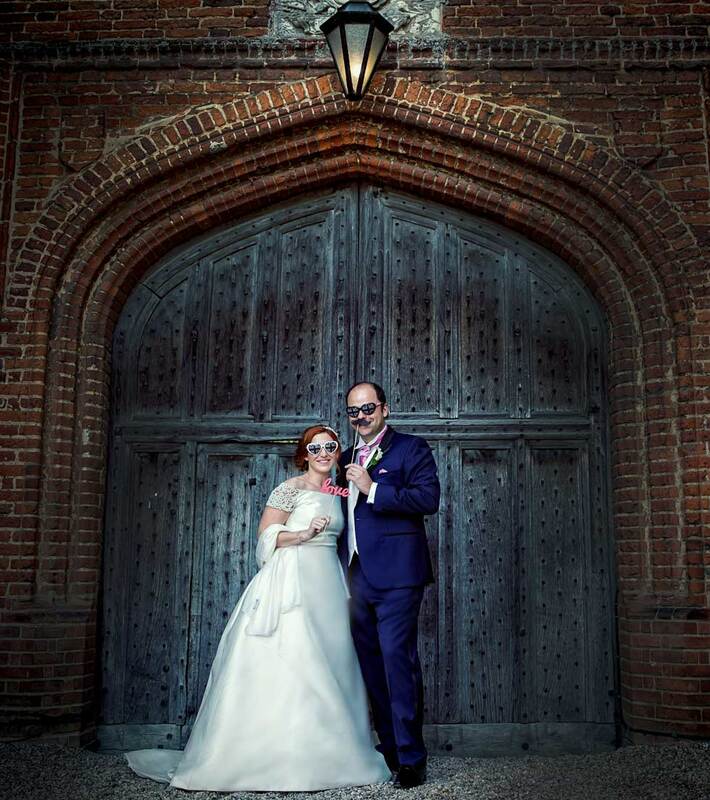 As previous Leez Priory wedding photographers we knew what we were talking about when we first met Marie and Xavier to hear about their plans for their special day. The difference with these lovebirds compared to previous couples we had photographed at this premier Essex venue, was that they were both French, and basically everyone attending the wedding day would be French too. Sacré bleu! 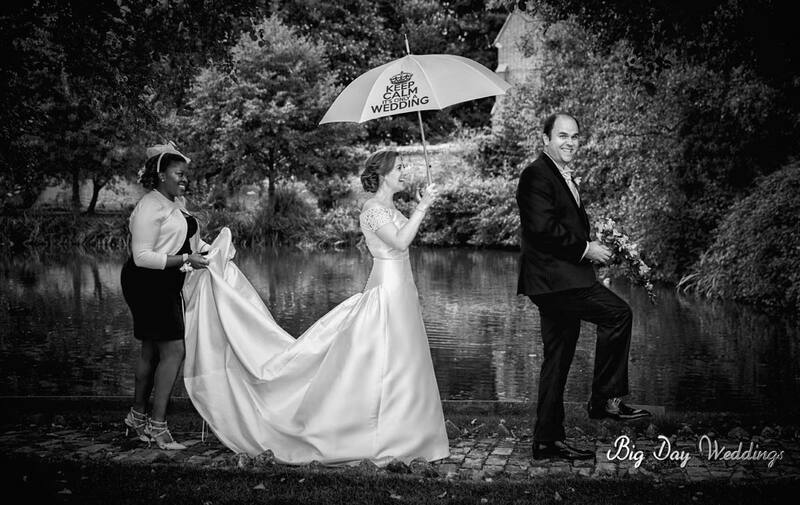 Not a problem as we regularly photograph weddings across the channel in France, and it was interesting to experience our Gallic neighbours and friends here in the UK. The whole idea was to have a very English celebration as a great experience for their friends and family. 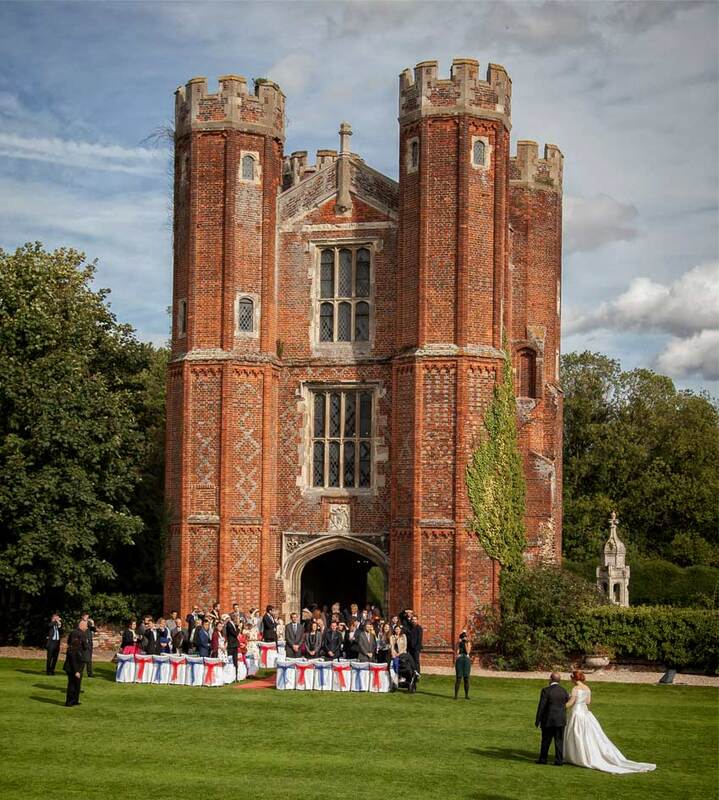 Weather permitting the wedding ceremony would be outside in front of the Priory’s Great Tower followed by English high tea, croquet and other games. Well although the weather forecast threatened to put a damper on the days plans I’m happy to report apart from a couple of quick showers everything went ahead as planned. That’s also a point I always make to potential wedding couples, that it is not worth worrying about the weather as one, it probably won’t rain ALL day, and two, shots with umbrellas can look fantastic anyway. 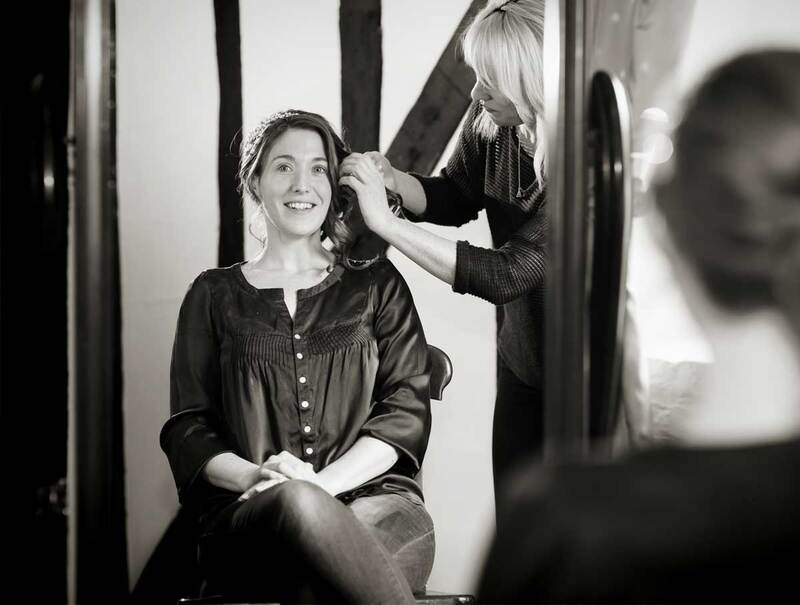 The day began with both Marie and Xavier getting ready separately at Leez Priory, and naturally we documented the fun and the frolics of that essential part of their story. Check out the shot later in the post of the boys multi tasking with their shirts and cuffs in one of the dedicated outbuildings. 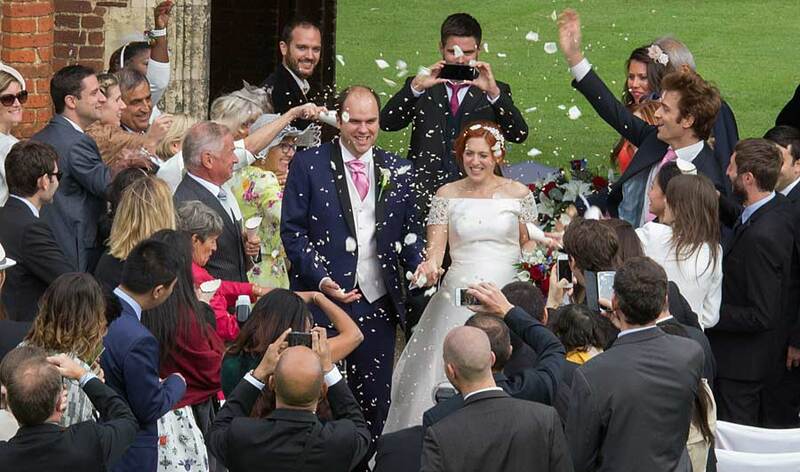 The weather was holding so the guests gathered outside in the shadow of the Great Tower for Marie’s grand entrance. And what an entrance is was, across the majestic lawns to her husband in waiting. We took some images of this and the ceremony and confetti from an upstairs bedroom window too, for a more birds eye view and memory of the day. Interestingly the Great Tower and other areas at Leez were the first in England to be granted a civil licence, including underneath it’s arch, which is where Marie and Xavier chose to wed. While the guests drank champagne and enjoyed their complimentary nibbles we went off with the couple for a while around the grounds. For our shots we had an interesting mix of weather in a short time. It rained, it stopped and then the sun came out too, which meant we could have even more variety to our shots. 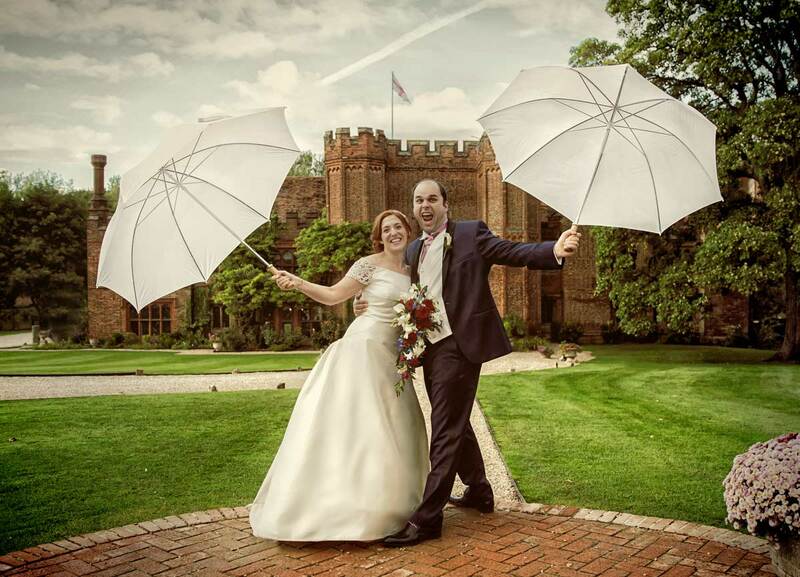 We love an umbrella wedding photo! Family and friends photos on the lawn followed along with some impromptu croquet playing. 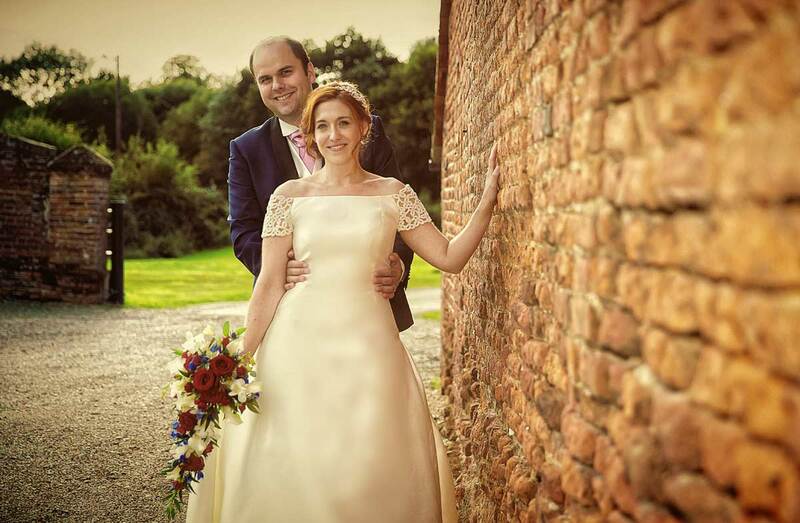 It felt all day long that we were a great fit for this particular English and French wedding day fusion. The couple’s friends and family were exuberant fun loving people, and it was great to see so much love and laughter on display. The wedding breakfast was hosted in the Great Hall, with as usual fantastic fayre from the Leez Priory catering and events team. 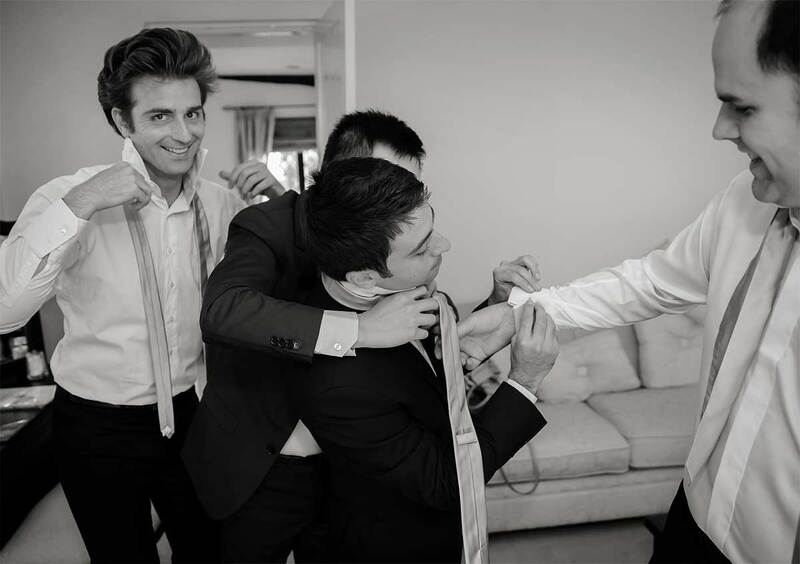 Special mention to these guys, as they really are very good at what they do and make the day run so smoothly, not just for the wedding party, but folks like us behind the scenes too. Thank you, it’s appreciated! After the customary speeches and toasts it was time to go downstairs for the cake cutting and then some serious dancing the night away. Leez Priory itself was originally founded in 1220 as an Augustinian Priory, and lasted in that incarnation for a full three hundred years. Sir Richard Rich built his own magnificent house on the grounds as Earl of Warwick, and this became much of the Leez Priory we see and know today. 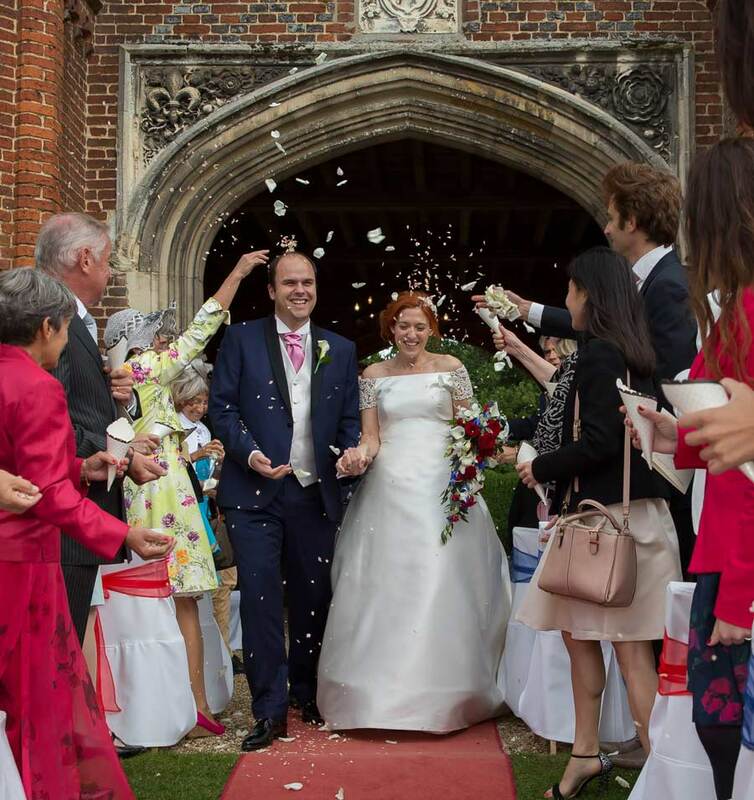 Leez as previously mentioned was the first venue of its kind to be granted a license for civil wedding ceremonies, and these can be under the Carriageway or Tower arch, and also the Great Hall and Coach House. 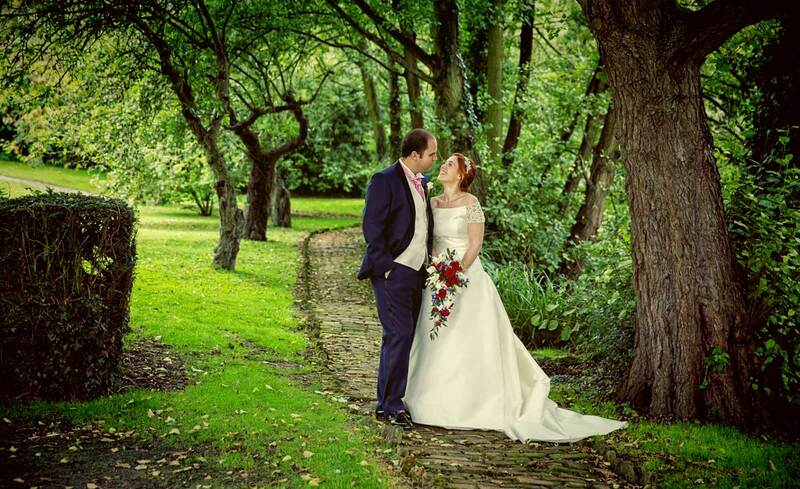 Whichever one you choose you will be guaranteed a day to remember at one of the UK’s best traditional wedding venues.